Grier School | Dancing Robots! Students in Mrs. Carol Deremer's Introduction to Computer Science class designed and built dancing robots. 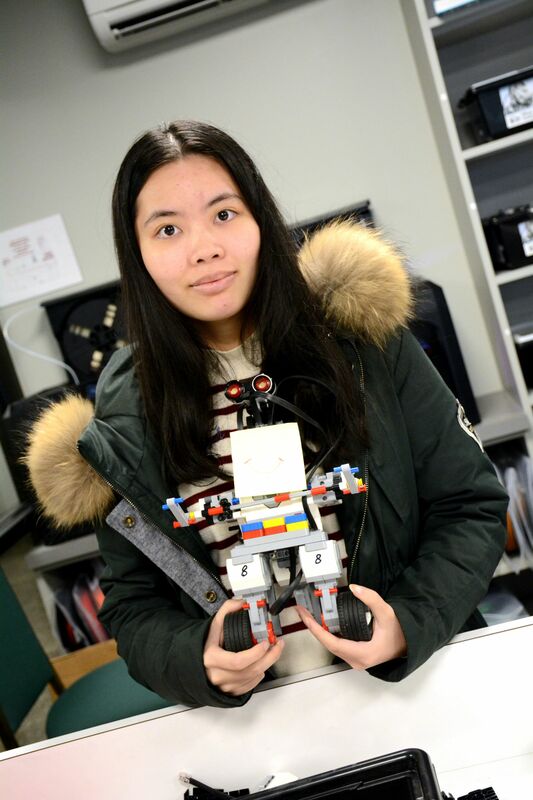 Over a course of nearly three weeks, students designed, constructed, and programmed the robots using Lego Mindstorm components and the Lego Mindstorming software. Through this project, the students learned programming fundamentals that they will implement next semester as they begin coding. Enjoy watching the robots dance, spin, wobble, bounce, and sway! Students in Mrs. Carol Deremer's Computer Science classes designed and built dancing robots.